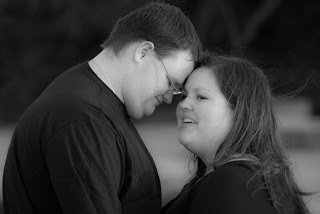 I had a great time shooting the engagement pictures of Sara and Dustin this past week. Their wedding is scheduled for June 09. The weather was beautiful and we could not ask for better conditions. This is one of many images I took during the shoot. I took it along the shores of Lake Erie [Cleveland side]. The sunset was beautiful and glistened off the lake. To obtain the silhouette, I exposed for the sky and shot in manual. The second image is exposed in the same manner but the color was modified in Lightroom. Notice the bird flying over head. The third image I converted to a B&W in Lightroom and added some -[negative] clarity to soften the image.